VisitScotland’s coo van is not letting the grass grow under its wheels as it heads to four of Orkney’s most popular visitor attractions next week. The van – one of VisitScotland’s small herd of mobile information centres – will visit Skara Brae, Scapa Distillery, Stromness Ferry Port, the Italian Chapel and Orkney Brewery between 27th and 29th April. Two of these sites – the brewery and distillery – are first time visits for the coo van, which will also spend some time in Stromness as well as being available in the Stromness Ferry Port harbour car park. 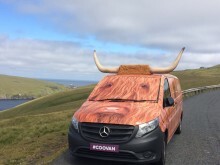 The coo van will be joined by members of VisitScotland’s team of specially-trained coo-visors, who are responsible for steering the coos around the country over the summer. The vans – Hamish, Archie, Morag and Heather – hit the road at the end of March and will attend a number of planned events over the next few months, including the Atholl Gathering, the opening of the V&A Dundee, Ballater Highland Games, the European Pipe Band Championships, Stonehaven Highland Games, the Lonach Gathering, the Hebridean Celtic Festival, the Cairngorms Nature BIG weekend and various farmers markets. On top of these, they will also visit many different visitor attractions, partner sites and tourism hotspots on a day-to-day basis and will appear at many more before finishing up for the year in early November. 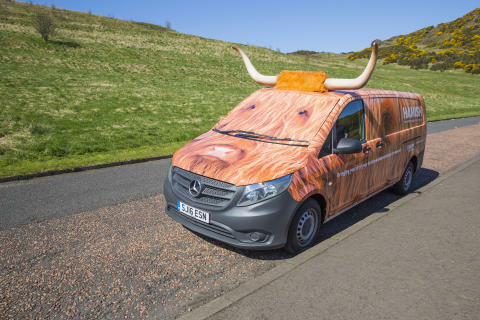 The coo vans are part of VisitScotland’s strategy to provide inspiration to visitors in new and innovative ways and in doing so extend a ‘personal touch’ to outreach marketing activity, passing on distinctive information about things to see and do throughout the country. Chris Taylor, VisitScotland Regional Leadership Director, said: “I know from talking to our coo visors that they are very much looking forward to their trip to Orkney, to meet and offer information to visitors which we hope will then inspire them to visit again in the future. 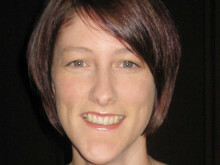 “We have been mobilising our workforce to deliver the best information to every corner of Scotland through face-to-face and digital channels, including our online community platform, a fleet of coo vans and other outreach activity.